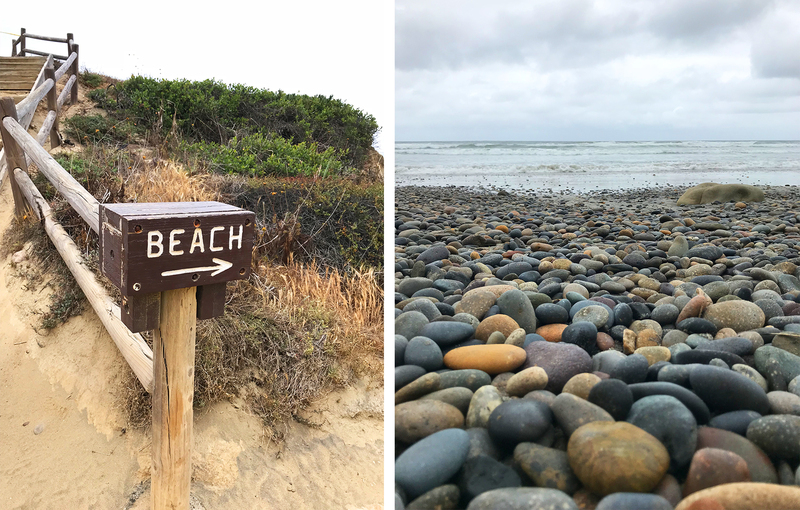 Torrey Pines State Natural Reserve is the perfect marriage of land and sea. 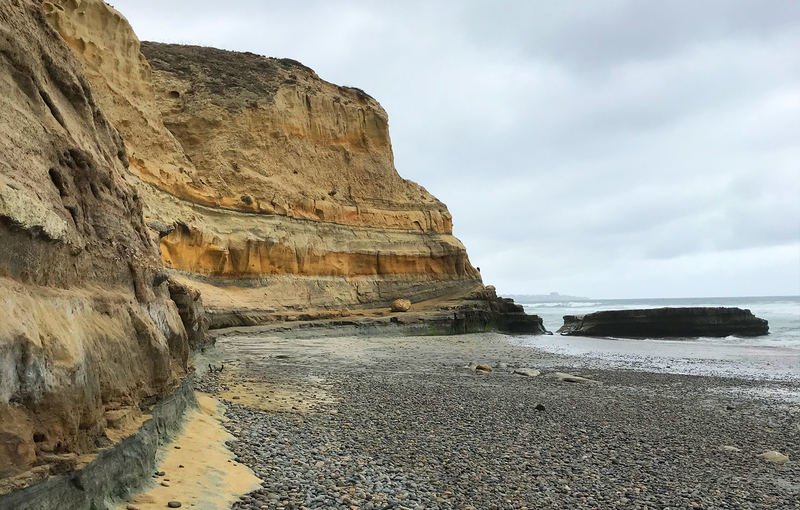 Its landscape is the result of millions of years of the elements at work, where twisted pine trees cling to golden sandstone cliffs overlooking the majestic ocean. 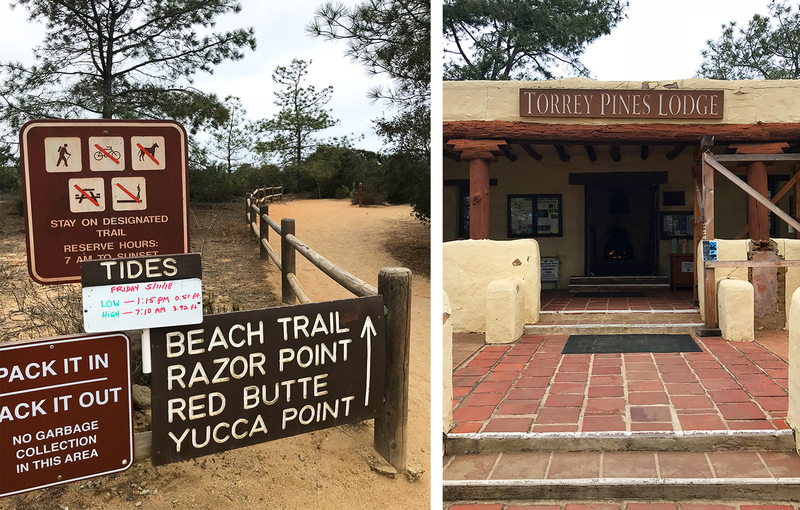 What makes this place even more special is that it’s one of the only places in the country where the Torrey pine grows (the only other place is a small island off the coast of Santa Barbara). This tree is so rare that it’s considered an endangered species in the United States. Centuries ago the Torrey pine was thought to have flourished in the region. Natives consumed its pine nuts as food and Spanish explorers called the area Punto de Los Arboles (“Point of Trees”) since it served as a reference point for sailors as they navigated the coastline. 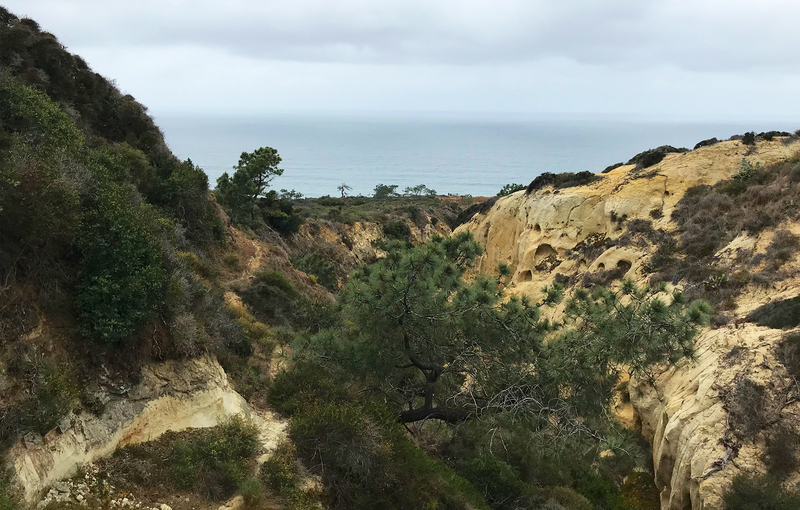 Fast forward to the late 1800s when the Torrey pine began to disappear, prompting efforts led by newspaperwoman and philanthropist Ellen Browning Scripps to protect the tree, which later led to the establishment of Torrey Pines State Natural Reserve. Today the reserve spans 2,000 acres and is home to 300 endangered and protected species of native plants, including the Torrey pine. 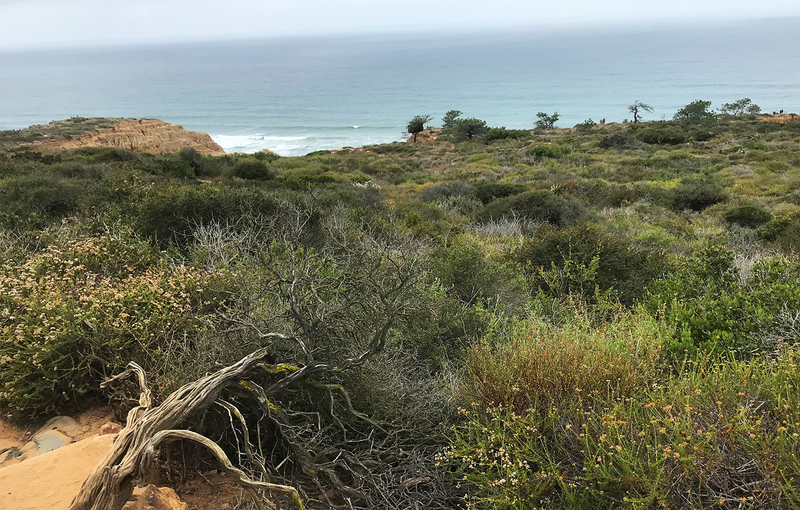 The Torrey pine tree is distinguished by its long needles that come in groups of 5 (whereas other pine species typically only have 3 or 4 needles in a group) and distinctive shape, which is a direct result of the environment. For example, the trees are shorter and gnarled when exposed to more wind and taller and upright when better sheltered. There are a collection of easy hiking trails throughout the reserve, most of which are less than a mile with options for all ages and abilities, offering many opportunities to see these trees up close. 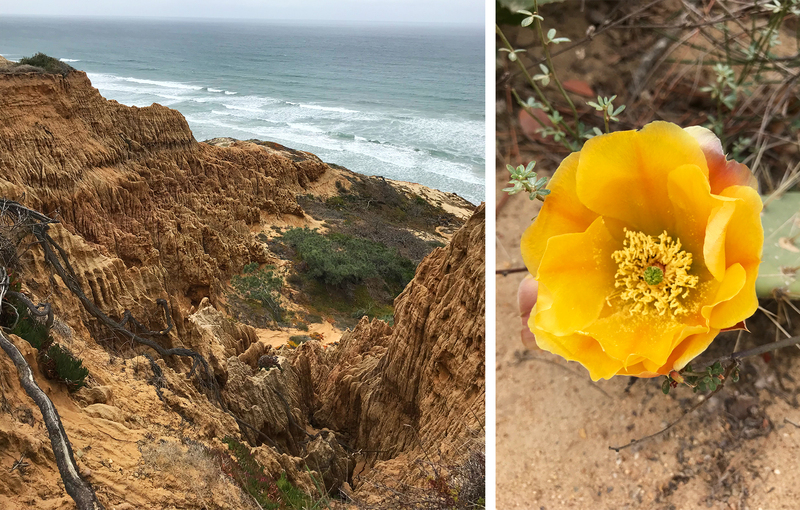 The unassuming beauty of Torrey Pines State Natural Reserve is nature at its simplest. Stripped down, providing an equal sense of calm and wonder. And if that doesn’t convince you to visit then nothing will. Torrey Pines State Natural Reserve is located about 16 miles north of Downtown San Diego off Interstate 5 between La Jolla and Del Mar. In less than a half hour after leaving our hotel we had arrived at the South Beach entrance, paid the attendant the daily fee (which fluctuates based on the day of the week and season) and continued to the parking lot closest to the visitor center. Several of the trails start here where you’ll also find restroom facilities and a ranger station offering helpful information and trail maps. The day we visited was mild and overcast and to our delight, there weren’t many other people on the trail. A park ranger told us that the reserve was not as green as usual as the area was suffering from a bit of a drought this year, coupled with damage from bark beetles. Despite this, (we’d soon discover that) the reserve was alive with the remnants of spring wildflowers and the gentle roar of the ocean in the distance. We started out on the Razor Point Trail (0.7 miles), which is appropriately named after the jagged cliffs that jut into the ocean, offering dramatic views of the gorge below as you make your way towards Razor Point. 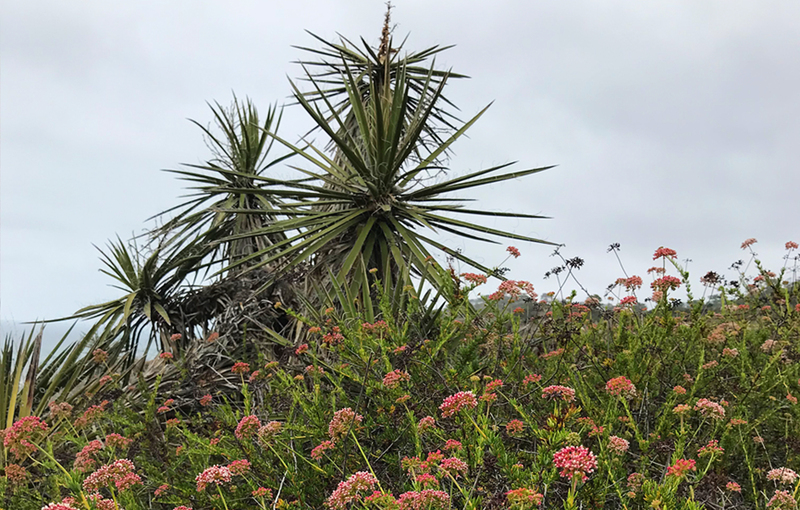 Next we continued on towards Yucca Point, looping around another overlook dotted with dozens of yucca plants. From here we were able to connect with the Beach Trail (0.75 miles), which has more of a downhill grade followed by a set of steep stairs to reach the smooth pebbly beach. Surrounded by towering cliffs with Flat Rock in the distance, we took in the vastness of the stormy sky and rushing waves before rejoining the trail and hiking back to the parking lot. 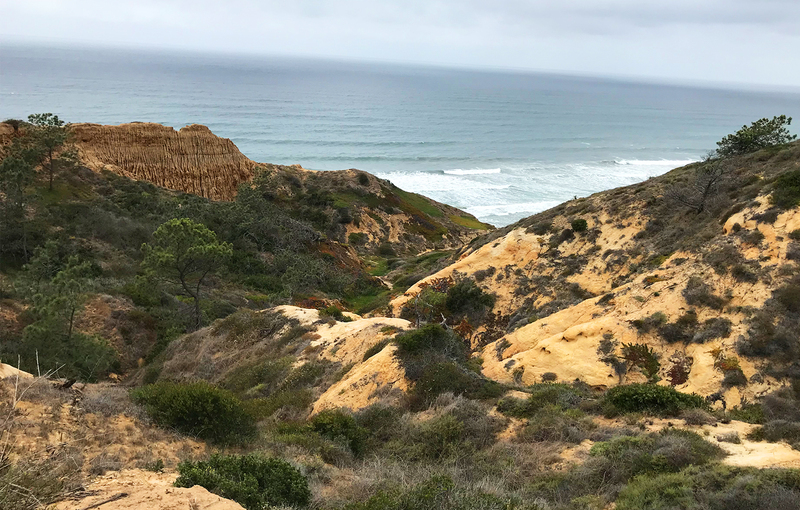 This scene – a raw sliver of the powerful forces of nature that have shaped this area for centuries – was the perfect way to end our hike at Torrey Pines, leaving us with much anticipation of returning again in the future.